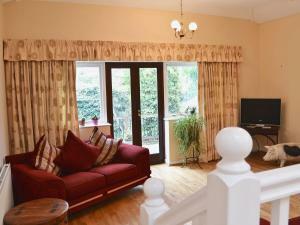 Valley View is a holiday home with a garden, located in Seaton. The property is 43 km from Torquay and free private parking is provided. 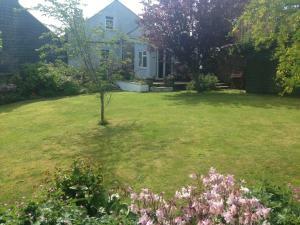 The kitchen ..
Cottage Pie is a holiday home with a garden, set in Axmouth. The property is 43 km from Torquay and free private parking is provided. The kitchen fea..
Mill Lodge is a holiday home featuring a garden with a seasonal outdoor pool, situated in Totnes, 1.5 km from Watermans Arms. It provides free private.. 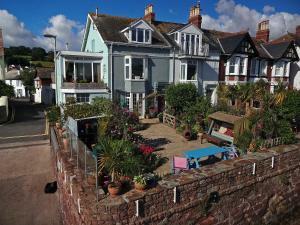 Located 1.5 km from Watermans Arms, 1 Salle Cottage offers pet-friendly accommodation in Totnes. It provides free private parking. The kitchen is fit..
Oakwood Venbridge Farm offers pet-friendly accommodation in Cheriton Bishop. The property is 33 km from Torquay and free private parking is featured. .. Featuring a garden with a seasonal outdoor pool, Millers Thumb is a holiday home set in Totnes in the Devon Region. The property is 1.5 km from Waterm..
Set in Totnes, this holiday home is situated 1.5 km from Watermans Arms. It provides free private parking. A dishwasher and an oven can be found in t..
Boasting a private pool, Mill Stream is a holiday home located in Totnes. Offering free private parking, the cottage is 1.5 km from Watermans Arms. T..
Set in Totnes, this holiday home features a seasonal outdoor pool. The cottage is 1.5 km from Watermans Arms. An oven, a toaster and a refrigerator c..
Set in Totnes, this holiday home features a garden with a seasonal outdoor pool and a barbecue. The property is 1.5 km from Watermans Arms and boasts ..
Set in Totnes in the Devon Region, this holiday home features a garden with a seasonal outdoor pool. The property is 1.5 km from Watermans Arms and fr..
2 Salle Cottage is a holiday home located in Totnes, 1.5 km from Watermans Arms. It provides free private parking. A dishwasher and an oven can be fo..
Offering a seasonal outdoor pool and children's playground, Landscove is situated in Brixham in the Devon Region. Berry Head is 300 metres away. Free ..
Set in Halwell, Foxglove is a cottage boasting a barbecue. The property is 20 km from Torquay and free private parking is available. The unit is equi..